A unique TriStore OPEN / Easton collaboration, that was born out of our love for riding great componentry on the already proven heritage of the Open U.P.P.E.R. The brand new U.P.P.E.R. comes with a lighter frame weight, flat mounts for brakes and 12mm front axle to accommodate even more brake and wheel options. 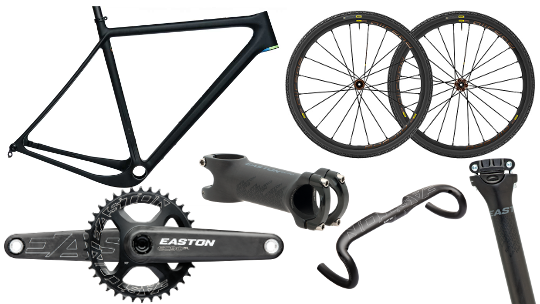 Easton componentry has a great history at the store, having originally been used on our Cervélo road bikes back when we opened the store in 2003 to now becoming experts in mountain bike componentry having combined companies with Race Face. All of this means Easton have the perfect heritage to produce components for our new OPEN builds. One of the key differences between the Classic U.P. on the one hand and the new U.P. and U.P.P.E.R. on the other is the disc mount standard. The Classic U.P. uses post-mount, the other two are designed for flat-mount. To use the lightest possible brakes from both Shimano and SRAM, you need their flat-mount brakes. And thanks to the U-turn fork, you can make those set-ups even lighter by removing the normally required adapter. A win-win. The new U-turn fork doesn't just save you weight on the flat-mount brake, it is also extremely light itself. At 375 grams, it is by far the lightest fork that fits GravelPlus tires. And to save even more weight, it comes with an extremely light 12mm Carbon-Ti custom axle. 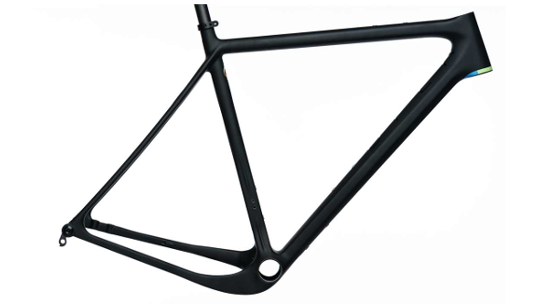 With OPEN's proven MultiStop design, you can customize the frame for 2x10/11, 1x10/11 and Di2 shifting. Just pick the right insert. In case you run a single chainring, you can also remove the front derailleur hanger to further clean up the frame.